The snow sprinkle before St. Patrick’s Day did little to delay my obsession and attention to detail with the dahlias! 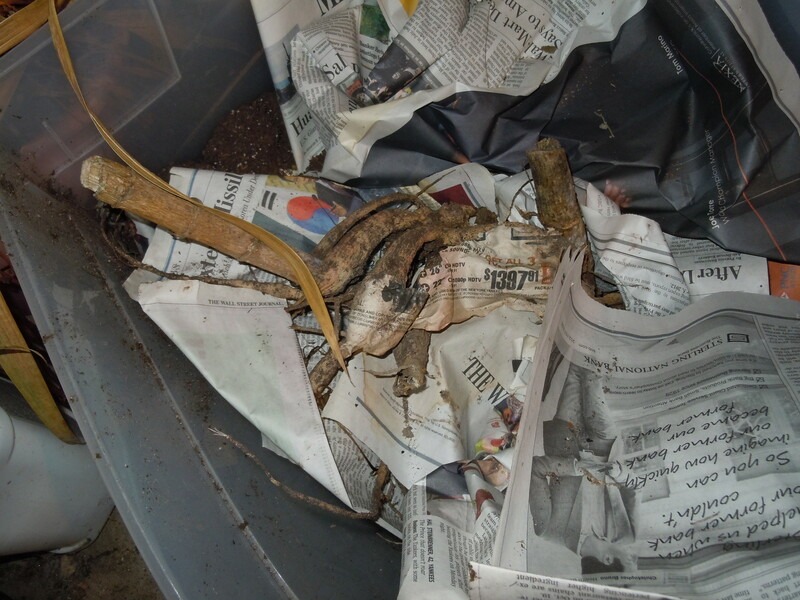 A little rummaging among the over wintered tubers was due. After the earlier discovery of water in one of the containers, I knew that some new tubers needed to be ordered. Some tubers in the box above seem shriveled but there are still some weeks to go before the final determination will be made if they are worthy of planting. New tubers are arriving and as they come in, I make labels while I still have time for this attention to detail. If the dahlia is successful, this label will follow the tuber into its Winter home and I will know what it is when I unpack in Spring. A little tip for those who love detail and have not yet found a marker that won’t fade or wash off during a growing season. Give up your Sharpies and try DecoColor! Another tip…. I have found a great label that will work with the paint marker and has the benefit of allowing the metal to be etched. First I impress the soft metal with a ballpoint pen and then go over the lettering with the paint marker. No more mystery tubers! This is the kind of thing (tips) that we share in my Garden Friends’ group. There are no by-laws, no rules, no agenda other than to pick a topic we all want to talk about. Today we are meeting to discuss garden writing. 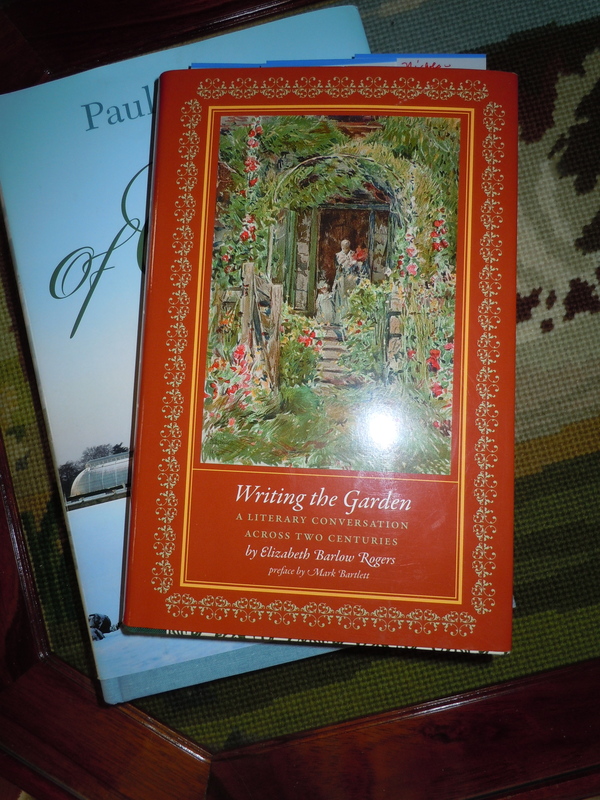 A book that I’ve just finished and one that will be read again and again is ELizabeth Barlow Rogers’ Writing the Garden. This is a beautifully researched book, and I love the way she links the great garden writers, some of whom I have already read and become devoted to and others who are new to me. One writer that she has introduced me to is Paula Dietz. I’ve just begun Of Gardens and I will let you know what I think when I am finished! I will want to re-read some Joe Eck and Wayne Winterowd books. Their writing hits all the right notes with me! Still can’t believe Wayne is gone. Do you have favorite garden writers that you return to over and over? This entry was posted in Uncategorized and tagged dahlias, Elizabeth Barlow Rogers, Joe Eck, Of Gardens Selected Essays, Paula Dietz, plant labels, Wayne WInterowd, Writing the Garden. Bookmark the permalink. Thanks for leaving a message on my blog Jayne, I now see that you are in America. A good blog written by Carolyn at Carolyn’s Shade Garden, who also owns a nursery, would probably have the corydalis that you are wanting, I hope so. My favourite garden writer is an English writer, Beth Chatto, her books are so inspiring. Beth Chatto is genius; she should be more widely read over here! Good morning Jayne !! How lovely is you picket fence, your little gravel lined garden! I tell you, I cannot wait for spring here. We had more snow yesterday and March is really our snowiest month. 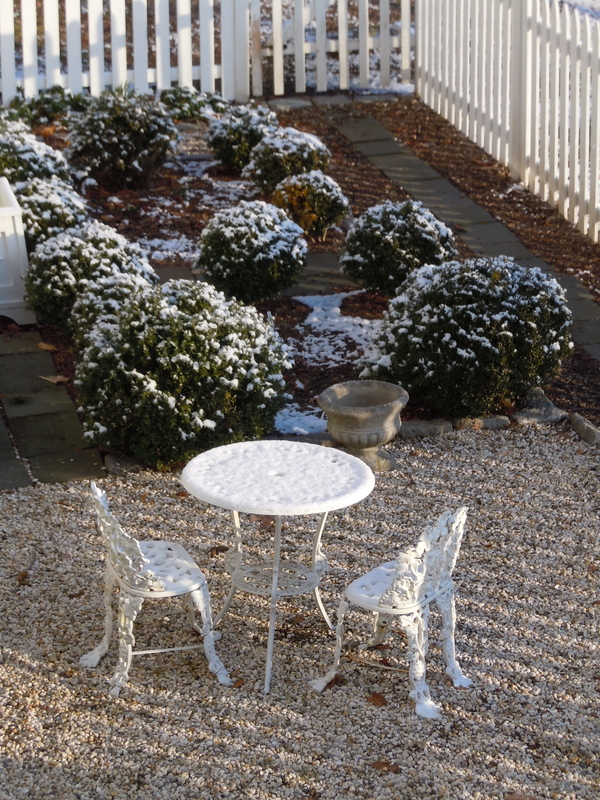 But soon I will be able to see the gravel around my boxwood hedged garden! Sorry you missed the Philly Flower Show. I did post two other times about the show. Thanks for stopping by my blog. I’ll have to investigate your system for plant marking.